Stuart Leamy’s great grandfather was a shopkeeper. So was his grandfather who was born in 1880. 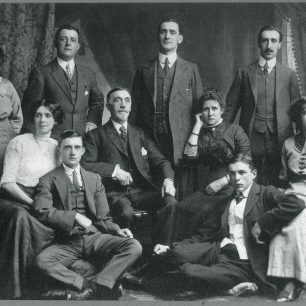 They have a photo of him with his parents and brothers and sisters taken in 1903 or 1904. 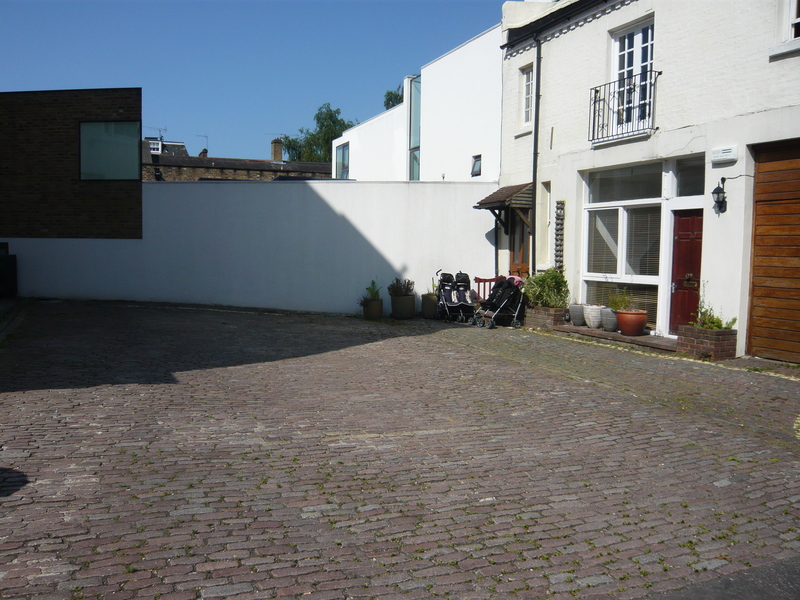 They have traced the Leamy family back to John, a butler who moved to Pimlico from Brighton in 1804. The family had a poultry and game shop at one stage and also greengrocer’s shops. His grandparents emigrated to Chicago but then came back, when his grandfather volunteered for the First World War. Joining the Middlesex Regiment, he was transferred to the Argyll and Sutherland Highlanders.Stuart’s father was born in November 1914, “on the books”. All the first sons in the family were called Charles. Stuart’s father’s second name was Kitchener! So he was known as Kit. 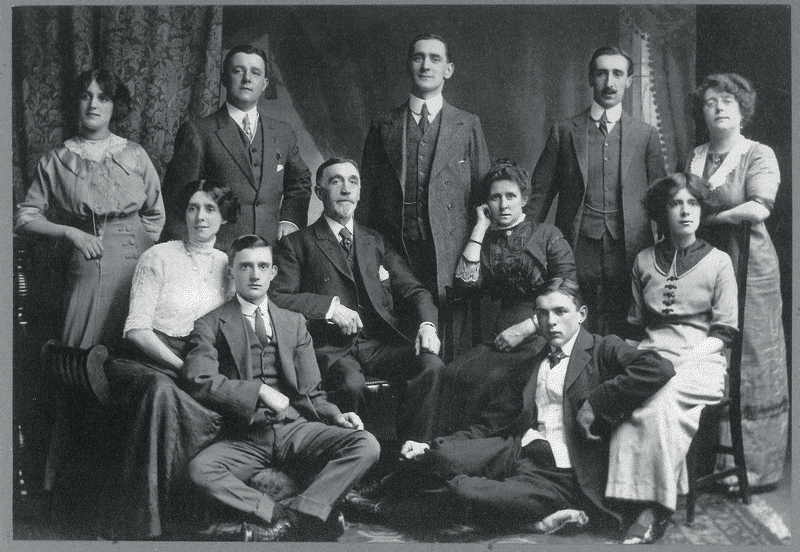 Grandfather Leamy would not talk about the War when Stuart knew him but in the mid 1920s he took his family over to Flanders to look at the battlefields and places where he had been stationed and places which he had visited. When Stuart was growing up, the Leamy shop, a newsagents, was called Willey. His great aunt Florrie was married to Mr Clifford, who owned the grocer’s shop – called Cliffords, next door and thus on the corner. There was a wonderful smell of cheese in there, with big pats of butter and sides of bacon hanging up. A dairy was situated on the other side of the Leamys shop which also sold cheese and bread, though they did not bake the bread. Webbs sold fish opposite. Ice lorries would arrive, the blocks unloaded with big hooks. Later, sometime in the 1960s Webbs started to change into a specialist cheese shop. There was also a butcher, a chemist, a cobbler and a hardware store and up to the 1960s, a greengrocer’s, which was called Leamy because at one point it had belonged to Stuarts’s grandfather. That was why they continued to call the newsagents shop Willey; it was not until the greengrocer’s became a launderette and changed its name that they changed their newsagents to Leamy. A Miss Willey was aunt to the family. Stuart’s father became so fed up with people asking to speak to Mr Willey that they called their dog Willey, so there was someone who answered to that name! Just round the corner from Leamy’s and Cliffords, at the bottom of Hill Road, there was a post office and a pub, The Heroes of Alma. Nugent Terrace was a real village community where everyone knew everyone else. It was a working street, the shops providing almost everything that you might need. Children played out in the street which was pretty safe. 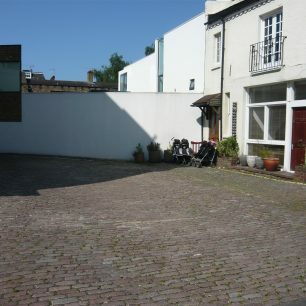 There was a wall at the bottom of Hill Road forming the boundary between the Eyre estate and the Harrow School estate. However this was not much favoured for football because of its proximity to the pub, so that you were liable to be chased away from that area. 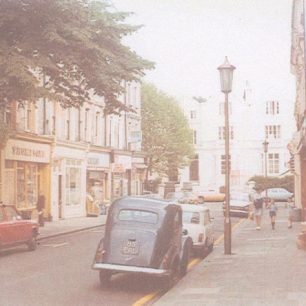 There was a much better wall at the top of Hamilton Gardens, near its junction with Alma Square. That was mainly where they played. They also played on the bomb sites around. Stuart remembers extended games of Cowboys and Indians. Children would use the buses and tubes from the age of about five, to go to school and in Stuart’s case, because he was a keen swimmer, going to swimming lessons at the pool in theFinchley Road (destroyed by fire in 1972). 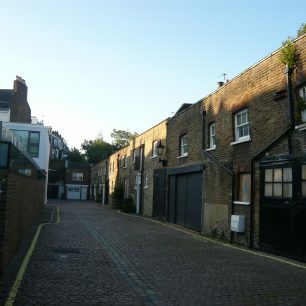 Bell Street and Kilburn were known as rough areas, where they did not go. In teenage years, Stuart remembers being accosted in Kilburn, which at the time was overwhelmingly Irish Catholic and a foreign world. St John’s Wood had a large Jewish community which certainly seemed much more normal to Stuart as a child – he assumed that was the case throughout England. United Dairies had a depot at Violet Hill which used horses and carts. They were also used to collect produce from Covent Garden in the days of the family greengrocer’s shops. 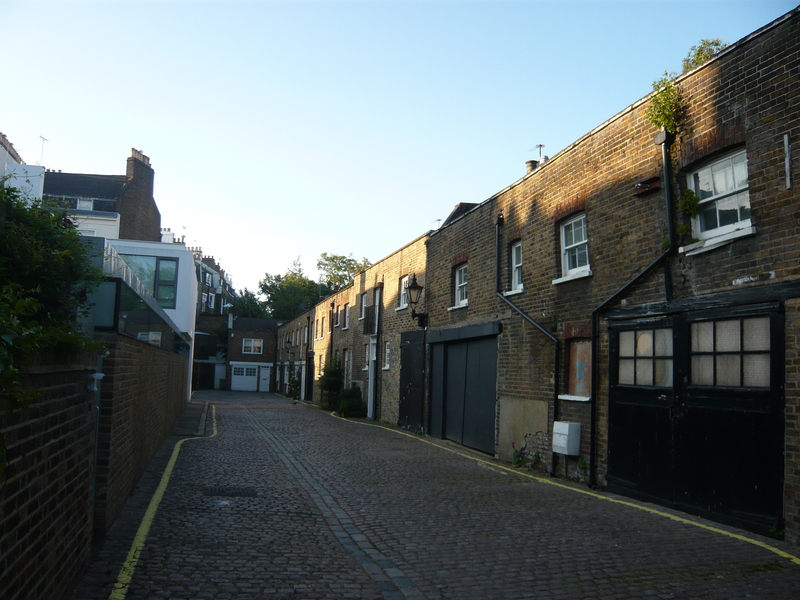 Grandfather Leamy could remember when horses were kept in Abercorn Mews, now called Abercorn Close; the horses were used, among other things for hansom carriages. 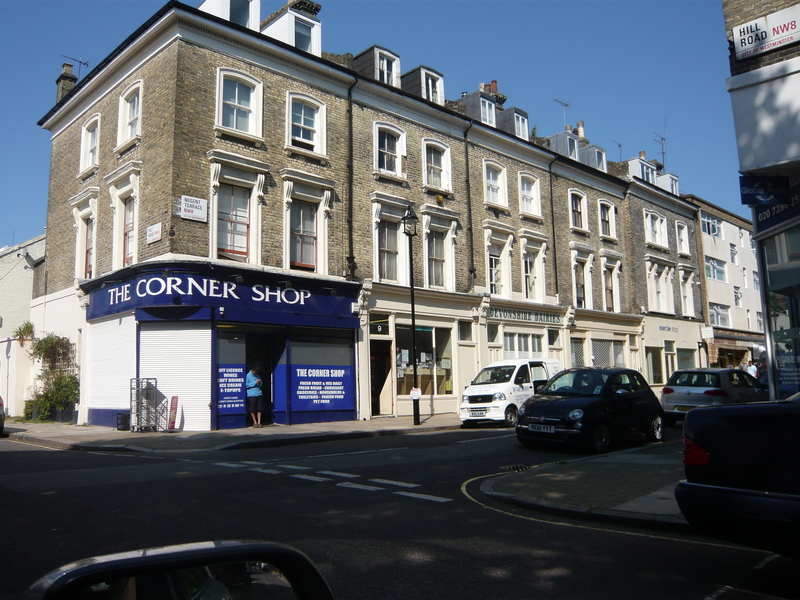 The family also had, before the Second World War, a greengrocer’s shop in Blenheim Terrace. 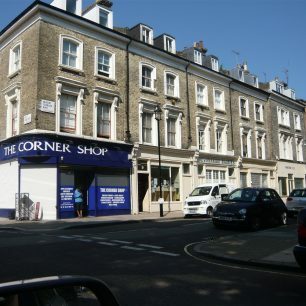 Stuart’s great uncle Arthur had a florist’s shop by the Marlborough underground station, which used to be on the corner of Finchley Road and Queens Grove. In the 1930s the greengrocer’s shops had to be sold due to financial pressures and they moved into the newsagency business. Grandfather Leamy retired in 1938 but was obliged to return to shopkeeping during the Second World War when Stuart’s father went off to fight. Stuart’s mother had been brought up in Putney. Stuart was born in 1946 and was christened at St Mark’s Hamilton Terrace. His older brother had been born in 1940 and he went to Barrow Hill School and Marylebone Grammar, whereas Stuart attended St Paul’s Church of England school which was then in Winchester Road, Swiss Cottage, where he went by bus. Later he boarded at Christ’s Hospital. Their shop was a huge part of their lives, open six days a week 9am-1pm and 2-6pm. They were closed on Thursday afternoons and all day Sunday, though the paper rounds would still have to be done first thing in the morning. Stuarts’s father was up at 4.45am to mark up the rounds for the delivery of the newspapers. They had eight morning rounds going as far as Hamilton Terrace and Melina Place to the south and Carlton Hill to the north, and three evening rounds which covered the same spread of streets. Local boys and girls were employed for this but they were fortunate to have the two Jordan brothers who ran the cobbler’s shop, and one of their wives to provide the backbone of the morning delivery. Children were not allowed to work before 7 am and children under 12 could not be employed at all. Stuart was the relief paperboy, as some others could be notoriously unreliable. They did supply, on order, any newspaper or magazine published in Britain, but the broadsheets were the biggest sellers, followed by the Mail and Express. Three copies of the Sun were ordered when it started, less than the regular order for the Morning Star. As well as newspapers, the shop sold cigarettes. sweets, and ice creams and also stationery, greetings cards and a few books. They could arrange for individual printing to be done, for instance on Christmas cards, notepaper and wedding invitations and the like. They had stopped selling loose sweets from big jars by the 1950s. They did not sell soft drinks as it would have meant competing with Cliffords, though they were selling cans of cola by the 1970s. There was a certain amount of shoplifting, but it was not serious. Stuart’s father was firm and would speak to the parents if necessary. Most of his clients had accounts anyway, so items could be added to the bill. Stuart’s father never wanted to be a shopkeeper, and had trained in electrical engineering at the Regent Poly, but having got into it, he loved meeting the people who came in. Stuart’s mother, who had been a trained shorthand secretary, and had worked in Whitehall during the war, did the books and also helped in the shop. There was a great shift in taste in cigarettes which were sold from the 1950s to the 1980s. In the early period cigarettes sold were nearly all unfiltered. The principal exception was Craven A cork tipped, generally regarded as women’s cigarettes and sometimes known as the Black Cat brand. They were manufactured by Carreras in their striking neo-Egyptian factory in Mornington Crescent (turned into offices in the 1960s) and their trade mark was a black cat meant to be the Egyptian cat god Bastet. Otherwise, popular brands were all untipped, such as Players Medium, Senior Service, Capstan, and Piccadilly no 1 which were sold in 10s or 20s. ‘Gaspers’ such as Weights or Woodbines could be sold in packs of 5. Many of these brands are no longer to be found and there were many more once well known, now forgotten: Passing Cloud, Gold Flake, Park Drive, State Express 555, Three Castles for example, and who remembers the once famous Strand brand (‘you’re never alone with a Strand’) or the brief flurry of NSM (new smoking material) cigarettes in the 1970s? The shop also sold rolling tobacco and pipe tobacco such as Erinmore, and Condor and other necessaries like lighter flints, fuel, matches, cigarette papers, pipe cleaners and so on. No tobacco products could be sold to those under 16. The Leamy’s shop had a basement, which had originally been the kitchen/scullery when the houses were built in the 1850s/60s This was the only room with water laid on to begin with. Like other houses on their side of the street, they had no garden, as the houses backed onto the wall. The family lived above in accommodation which was pretty spacious as the rooms were large and high. When Stuart was growing up they used the first floor front room as a sitting room, with a kitchen/family room at the back. On the second floor, the master bedroom was at the front, with a bathroon/utility room at the back. When Stuart’s mother moved there in 1946 she made sure that a proper bathroom was installed, which was not easy due to the strict rationing at the time. On the top floor (the attic floor) they had two more bedrooms. Stuart and his mother attended St Mark’s church in Hamilton Terrace and in fact Stuart was later ordained from there, working first at a parish in the Liverpool diocese. He later decided to become a chartered accountant as well. As a child he had been to Sunday school in the Mount Zion Baptist chapel, in St John’s Wood Road, run on old fashioned lines, so that you read right through the bible, starting at Genesis. Stuart never got to Revelations. However he remembers a very curvaceous young teacher which sweetened the lessons! Later on, he and his friend Tim Page went to Sea Cubs meetings at the Congregational church in Marlborough Place. Although he no longer lives in St John’s Wood, Stuart still loves going to cricket matches at Lord’s and is also a regular member of the audience at the Regents Park Open Air theatre. Neither of the sons wanted to take over the business and it was sold in 1982. Stuart and his brother had other careers and other lives. Stuart did briefly consider the idea, as the only way he could live in St John’s Wood by the 1980s, but he knew it was very hard work, very tying, and he had no experience in shopkeeping. So this is why he did not take it on. This page was added on 08/07/2013. I must admit I was one of a number of boys that worked as a Paper Boy at Kit Leamy’s. As mentioned my Aunt Daisy, Uncle Fred & my Dad, Jim Jordan were the grown ups who did the early morning Paper deliveries around the area from Leamy’s. After working as a paper boy, I got a part time (during my schooling at Barrow Hill & Quintin Kynaston), to work for Mr Clifford at Clifford’s Shop on the corner of Nugent Terrace & Hill Road. A year or two before Clifford’s closed I went part time for George & Vera Huish who ran the Devonshire Dairies (on the other side of Leamy’s) before they moved premises and took over Clifford’s and renamed it. I was already a keen hand with the meat slicer and cheese cutter from very good training at Clifford’s. I was also skilled at stacking Schweppes Soda Siphonsand R Whites Lemonade Bottles which you would get a deposit paid bbck to you when you brought them back (Proper recycling!!). 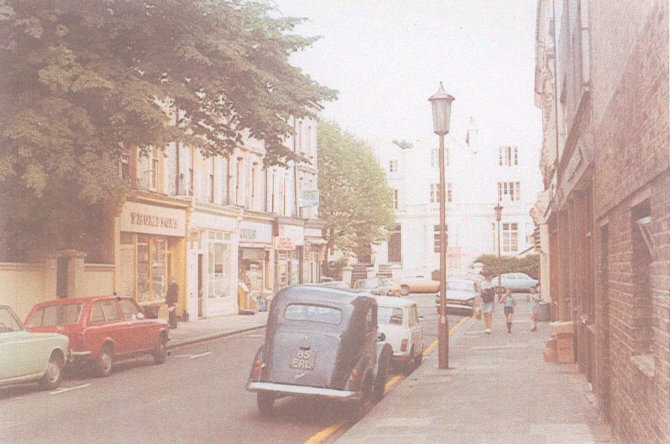 My Grandmother used the shops in Nugent Terrace for all her shopping. The ‘boy’ from Cliffords did deliveries on his bike. I can still remember all the smells of that shop, and the big machine that sliced the ham and bacon and the red coffee grinder. We used to go to Leamy’s regularly and I think they delivered our papers.